A shore crab (Carcinus maenas) from Loch na Keal on Mull and a long clawed squat lobster (Munida rugosa) from Loch Sunart. 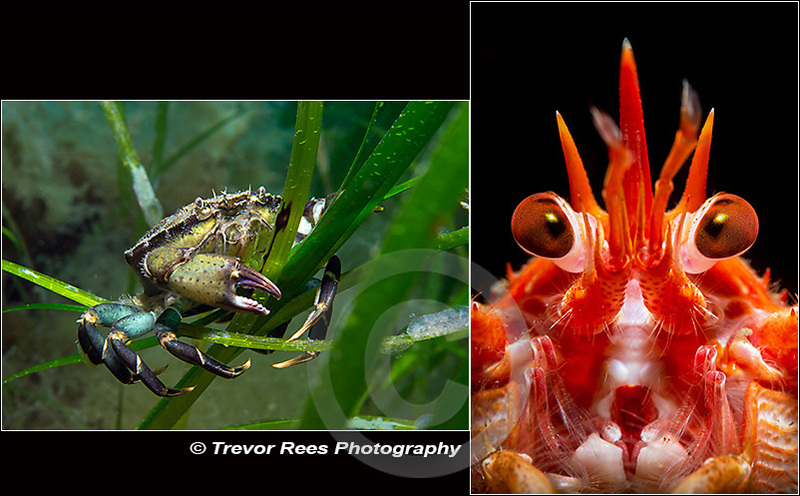 Voted by the Bristol Underwater Photography Group as joint first in the 2015 British prints category. It's not often I tie for 1st place with myself!